Back in April, American Youth Rugby Union teamed up with USA Rugby and posted a “Rookie Rugby” volunteer event on GoVoluntr. We blogged about AYRU back in November 2011 and were excited about this new type of volunteer opportunity. This opportunity was to teach volunteers about rugby and a few practice drills in order for volunteers to go into schools and give PE demos to youth. There were several experienced rugby players ranging in age and there were even a few new people. Why did some of the new people decide to volunteer to learn rugby? Because they had always wanted to learn how to play rugby and this innovative volunteer opportunity provided them that chance. 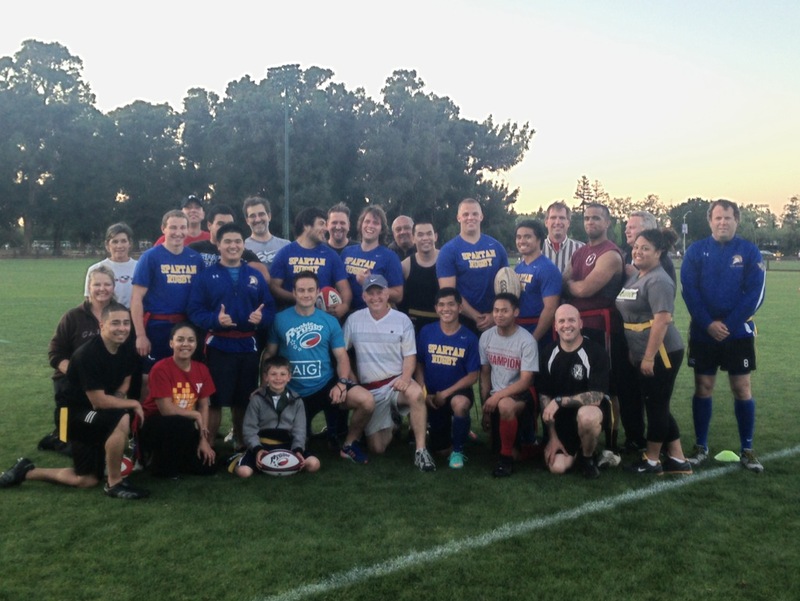 Whether a new or frequent rugby player, the Rookie Rugby event was new and no one knew what to expect, but because they took the chance, they were able to have fun and experience a whole new side of volunteering. “Embarrassingly, I thought that we were going to coaching kids right away! Walking up to the group (being late probably didn’t help ) I thought that I may have been coaching a high school team? However, it made perfect sense that we should know a few things about coaching before being tossed into the wild of an elementary school gymnasium. “At first I was really nervous to volunteer for Rookie Rugby. I thought I’d look like a dork who didn’t know what she was doing and I’d then fail when it came time to teach PE demos in schools. I learned drills and basic rules of rugby, the way youth would be learning. We got cards that taught practice drills and although it was based around rugby, I found a way to connect it to my own personal life. Several of the drills felt familiar but were described in ways I had never heard. One drill lined students in a circle and one person ran around the circle until finding someone to tag with the rugby ball. The tagged person then chased the tagger and had to tag the person before they ran the full circle and made it back to the empty spot. When described this way, it was really confusing but after a few rounds of this I realized that it was similar to the old children’s game, “Duck, Duck, Goose”. In the end, being able to relate with what I was learning to my own personal life made me a better teacher for the youth. This entry was posted in Events on June 10, 2013 by GoVoluntr Caroline.